As the two wheeler industry is about to witness a boom in the sales of commuter bikes, Bajaj is about to launch a 150 cc Bajaj Boxer and a new Bajaj discover. In an interview given to the NDTV profit channel, Mr. Rajiv Bajaj, managing director of Bajaj Auto has given some hints about their new launches to the two wheeler market. The rumors about the relaunch of Bajaj Boxer have been in the air for a while now. The old Bajaj Boxer had a very fuel effective 100 cc engine, a very relevant fact as the hike in fuel price is making living difficult. 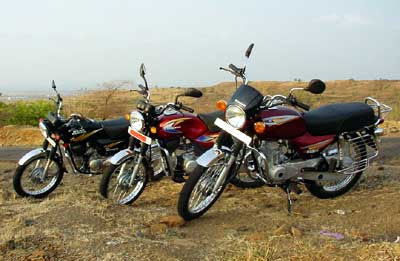 Bajaj had ceased the production of the popular 100 cc Boxer in 2004. So when the relaunch was announced, the expectations were about a 100cc engine or a more powerful 125 cc Bajaj Boxer. But it turns out that the new boxer is going to have a 150 cc engine, quoting Mr. Rajiv Bajaj. Although it sounds unbelievable, the sources of information are reliable. The plan of the company is to launch Bajaj Boxer as a utility brand to India in an affordable price and win the upcoming competition in the commuter bike segment. As the word utility brand means in the industry, the new bike has the 150 cc engine equipped to perform like a work horse in cases of heavy load and rise up to the expectation of the user. Although there are some other bikes like Hero Honda CD Dawn and TVS Max 4R with 100 cc engine in the utility brand, they have not achieved success yet. It seems Bajaj is to take over the scene now. The price of the new bike is expected to be around 40,000 in Indian market. The Bajaj has its market leader in the sports bike segment, the mighty Bajaj Pulsar with about 50 percent market share. Naturally Bajaj also wants to have a strong hand in the commuter bike segment too. The coming new Bajaj Discover is specially designed for giving a tough fight to Hero Honda Splendor, The best selling commuter bike in India. In another interview with money control.com, Mr.Rajiv Bajaj stated that Bajaj Pulsar and Bajaj Discover together constitute around 70% of the total sales. It is actually up to 85% in the Indian market. The two existing Discovers with 100cc and 150 cc engines were a huge success in India for the past 10 years. So the manufacturers expect better for the new discover. The company is expecting a sale of 350,000 units by the end of April with the launch of the new bikes. The changes and special features in the bikes still remain unrevealed.